Lamb is the meat of domestic sheep belonging to species Ovis aries. Generally, sheep in its first year is known as lamb and the meat derived from it is also known as lamb. Lamb meat is derived from animal between one month and one year old with weight between one month and one year old. Generally, the meat is tender in comparison from older sheep and appears in tables of some Western countries. The color of meat ranges from tender pink to pale red. The meat of lamb is categorized into three: hindquarter, loin and forequarter. Forequarter consists of neck, front legs, shoulder and ribs upto the shoulder blade. Loin includes ribs and hindquarter consists of rear legs and hip. Rib chops include rib bone and loin chops include only chine bone. Cuts of lamb could be stored at the temperature between 33°F and 40°F for 2 or 3 days in a refrigerator. In a freezer, it could be stored with a temperature of 0°F or less for 6 to 9 months. Ground lamb (refrigerated) should be used within 1 or 2 days and store in a freezer for upto 4 months. Refrigerated cooked lamb (leftover) should be used within 3 or 4 days and could be frozen for upto 3 months. 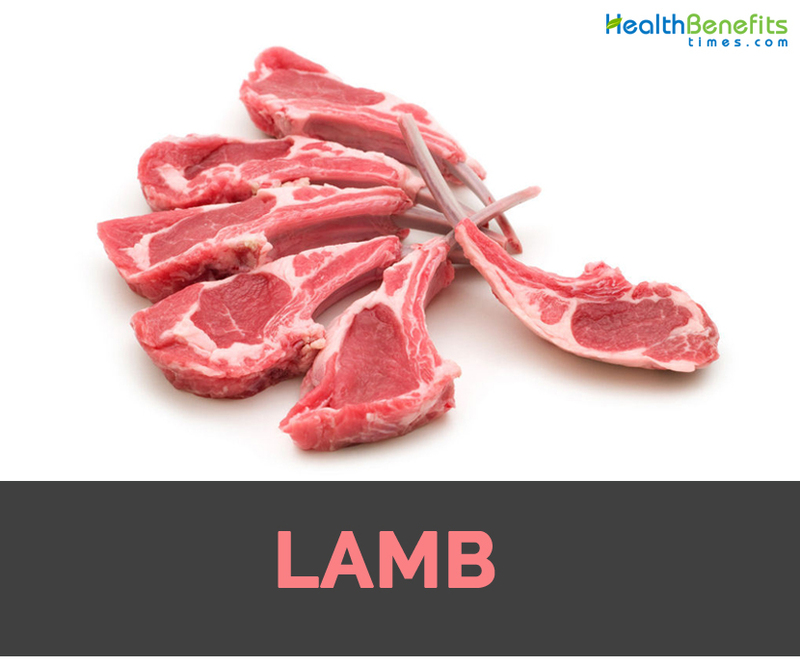 Lamb meat is also a red meat in which muscle fibers consists of greater density of heme iron and zinc. Red meat are high in saturated fat. Male requires saturated fat for supporting testosterone synthesis associated with selenium and zinc that supports production. For Athletes or those trying to enhance body composition, testosterone is predominant. Body produces carnosine but still its intake from external sources is must. Carnosine possesses anti-atherosclerotic properties that lowers fatty plaques deposition on blood vessel walls. It could lower the chances of cardiovascular problems such as stroke and heart attacks. Moreover, it inhibit formation of glycation end products which is pre-oxidant in nature and promotes inflammation in the body. The presence of adequate amount of this compound halts cancer development and premature aging. ing and sustainable fuel. It assist body to build, repair and preserve muscle mass. Lamb meat has essential amino acid that is considered to be the complete proteins as it includes all. Lamb meat is an heme iron source. Body absorbs heme iron much better and ensures ample amounts of this mineral are available for red blood cells synthesis. As the prevalence of preventable anemia continues to grow, consumption of heme iron from sources such as lamb meat can help you meet your nutritional goals for this mineral. Lamb meat has glutathione which operates as free radical neutralizer. It is considered to be a strong antioxidant produced by the body naturally. Though the body produces this antioxidant naturally, intake from food sources assist in natural production. Protein supports growth as well as recovery of muscle tissues. Besides protein, lamb meat contains more other proteins. It is the presence of amino acids beta-alanine, precursor of carnosine and creatine. Diet ensured with these amino acids promotes performance, strength, lowers fatigue and promotes lactic acid buffering that causes muscle failure during activity. Basically, fats are must for formation of skin’s lipid cell membrane. Omega-3s preserves skin health, supports moisture, flexibility, retention and also strengthen antioxidant function. It reduces visibility of fine lines, wrinkles and greater degree of hydration. Lamb meat has zinc that supports immune health. It supports various enzymatic reactions enhancing destruction of pathogens. It assists healing and lowers formation of scar in the process. Active people should ensure additional intake of zinc as one tends to lose through sweat. 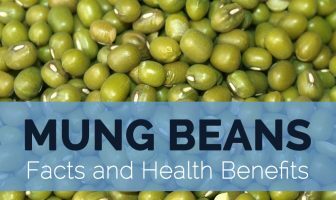 Zinc is crucial for optimal immune health, DNA and protein synthesis, wound healing and also development or growth in children. With inadequate zinc, immune system won’t be able to function properly and leads to health conditions from common cold to infections such as pneumonia. Lamb meat promotes overall immune activities. Lamb meat has higher beneficial fat called conjugated linoleic acid that promotes utilization of stored body fat as a fuel and also lowers storage of body fat. It braces heart health and including aerobic exercise it further adds to weight loss. Nervous system asks for the pack of nutrients for efficient function. Diet offers adequate amount of vitamin B and fats which supports effective functions of nerves. Vitamin B emboldens retention of nervous activity and nerve transmission. It is crucial for peripheral nerves which is more liable to circulation issues. It performs as insulating sheath around nerve fibers that prevent electrical signal loss during transmission of stimulus. Add ground lamb to burgers. Cook lamb loin pieces in garlic, rosemary and red wine. Serve lamb with mint yogurt sauces prepared from mint leaves, plain yogurt, garlic and cayenne. Serve grilled lamb with ratatouille or green beans. If experienced runny nose, stuffy nose, rash or nausea then avoid its consumption and seek for immediate allergic reaction if the symptoms get worsened. Limit its intake because like other red meat, lamb meat also contains significant cholesterol. High intake of lamb meat results to health problems such as high cholesterol, hypertension, cardiovascular problems, diabetes and cancer. Cut lamb meat into small pieces. In a bag, put the seasoning and lamb and let it remain for 30 minutes (at room temperature). Then dispose the juice from the bag lightly and add flour. Heat oil (to 160 degrees Celsius) and fry meat for 3 to 4 minutes. Then increase oil temperature to 190 degrees Celsius and fry the meat for further two minutes. Deep fry the lamb meat. Remove lamb meat from oil and serve. Heat olive oil to a pan and stir-fry the diced garlic lightly. Season the lamb meat with salt and pepper just before cooking. Keep the heat from medium to high, cook the lamb till it becomes golden brown. Then take the meat out of the pan and wrap it with aluminum. Let it remain for 7 minutes.